After our grueling journey through Death Valley, we parked the RV and jumped in the pickup with Dean and Terrie for a whirlwind loop of the scenic gems of Northern California. 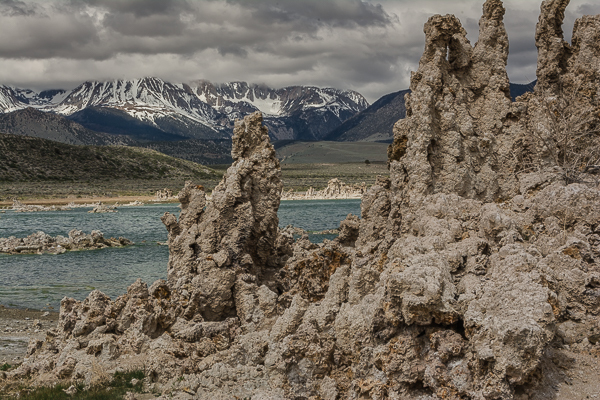 First up Mono Lake, an alkaline lake where tufa towers once underwater are now exposed and protected by the park. The calcium-carbonate spires and knobs (Tufas) were formed by interaction of freshwater springs and alkaline lake water. After a leisurely walk on the Tufa nature path along the lake edge, we hopped back in the truck and headed towards Bodie State Historic Park. 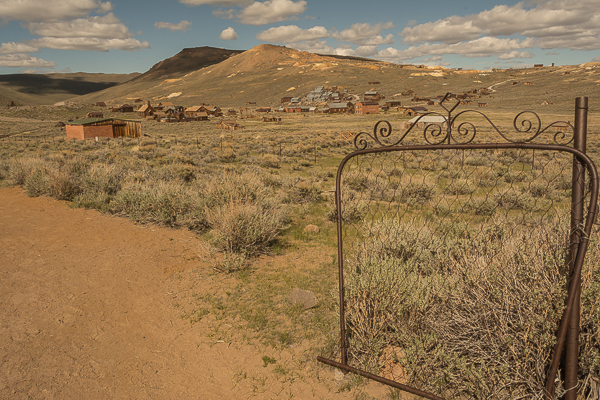 This gold boom town established in the late 1800’s has been preserved in a state of “arrested decay” and is fascinating to explore. Rusted out vehicles rest where they were last parked and stores are stocked with goods from the last day of business. Storm loved that the old gold mining equipment was strewn everywhere and he was able to thoroughly inspect many pieces 🙂 Prepare to spend a lot more time here than you anticipate as your imagination is teased into filling the town with the hustle and bustle of a by-gone time. Below are my favorite photos from this day. I am trying a slideshow again and it may or may not work on mobile devices. Each of us, when our day’s work is done, must seek our ideal, whether it be love or pinochle or lobster a la Newburg, or the sweet silence of the musty bookshelves.